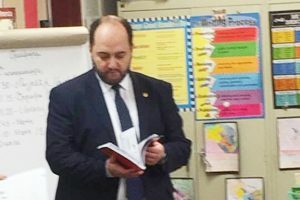 LOS ANGELES—Armenia’s Acting Minister of Education and Science, Arayik Harutyunyan, will participate in Living Diaspora, a one day academic and cultural event to be held at UCLA on Saturday, January 19,, with the aim of promoting Armenian language, culture and heritage, as well as supporting various Armenian Studies programs around the world. LIVING DIASPORA will kick off at 3:30 p.m. on Saturday January 19, at UCLA’s Melnitz Hall, with the concert to follow at the university’s Royce Hall. Tickets are available at Itsmyseat.com and Ticketmaster. LOS ANGELES—Armenia’s Consul General to Los Angeles, Dr. Armen Baibourtian will welcome the audience at Living Diaspora, a one-day academic and cultural program to be held at UCLA on Saturday, January 19, with aim of advancing Armenian language, culture and heritage, as well as promote various Armenian studies programs around the world. During the opening session of the program, which will focus on “Armenian language, identity, and culture in California” Baibourtian will offer his perspective on the matter. Dr. Razmik Panossian, Director of the Department for Armenian Communities at the Calouste Gulbenkian Foundation will moderate the panel. The other panelists, UCLA graduate students Lilit Ghazaryan and Anahit Pogossian, will make PowerPoint presentations that will explore how Armenian is used in Los Angeles. The panel will conclude with a lively question and answer session with artist and humorist Vahe Berberian. The second portion of the program, also moderated by Dr. Panossian, will celebrate the 50th anniversary of UCLA’s Narekatsi Chair of Armenian Studies. The chair holder and associated faculty member, Professor S. Peter Cowe, Dr. Anahit Keshishian Aramouni, Dr. Hagop Gulludjian, and Dr. Shushan Karapetian, together with Prof. Sebouh Aslanian, holder of the Richard Hovannisian Chair in Modern Armenian History, will present the program’s current offerings and future plans. The day-long event, which is organized by the Melkonian Global Overture, will conclude with an epic benefit concert at UCLA’s Royce Hall. 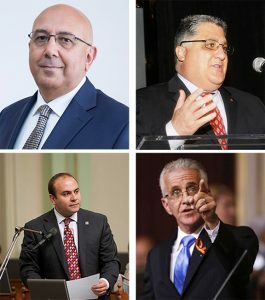 Consul General Baibourtian will be joined by California State Senator Anthony Portantino, State Assemblymember Adrin Nazarian, and Los Angeles City Councilmember Paul Krekorian as honored guests of the event. The Armenian Pops Symphony Orchestra conducted by Maestro Greg Hosharian will collaborate with a rock band and classical Armenian ensemble to present a rock and hip-hop infused upbeat concert of Armenian Music. Featured artists include Ayline Amirayan, Alene Aroustamian, R-mean, TInie T, Hovig Demirjian and Drummer Jacob Armen. A dance performance by the Karavan Dance Studio under the direction of choreographer Mihran Kirakosian will also be part of the program. 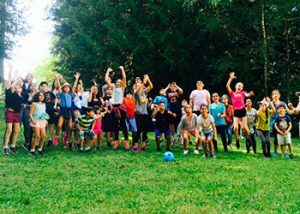 With the community’s support, the organizers hope to elevate a young generation and enrich them with the love of Armenian language, culture and art, while raising funds for the educational programs provided by the Narekatsi Chair at UCLA and the Padus Araxes Cultural Association of Italy, as well as the MGO’s scholarship fund. LIVING DIASPORA will kick off at 3:30 p.m. on Saturday January 19, at UCLA’s Melnitz Hall, with the concert to follow at the university’s Royce Hall. Tickets are avilable at Itsmyseat.com and Ticketmaster.